Before you access either the Virtual Desktop or Virtual Applications environment, you will need to install the Citrix Receiver. For detailed instructions, please follow the “How to Connect” links below. Virtual Desktop and Virtual Apps are not available to Alumni, retired faculty, retired staff, guest users, public accounts or users with temporary accounts. 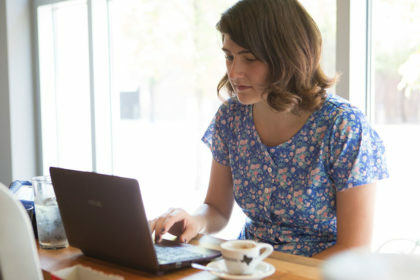 Faculty, students and staff have 24/7, on-demand access to a library of popular software from any computer, Android or iOS device anywhere in the world with an Internet connection. VirtualApps allows people with a Park University username to login to a web-based system to access specialized software. This access gives Park students, faculty and staff the flexibility of using the software on campus, at home and even while studying abroad. Please be sure to save your work to your local devices and/or drives. Any files saved directly to the virtual server will be deleted. Please note not all applications will be available to all users, instead only the applications you need for your particular Major/Coursework will be made available to you. Note: Your access to the apps is based on your class attendance during the current semester/term. Park University Faculty and Staff working without a laptop that need access to specific Park University applications and files may connect from any Internet-connected computer, Android or iOS device to be presented with a virtual Windows 7 Desktop. This virtual desktop will have access to your My Documents files, Network Shares, and applications including MS Office 2010, Jenzabar CX, FileNET and eProcess. Unless expressly stated otherwise, these desktop sessions will not save any changes between uses so do not save any files to the Desktop. Please save all files in your My Documents folder or a Network Share.